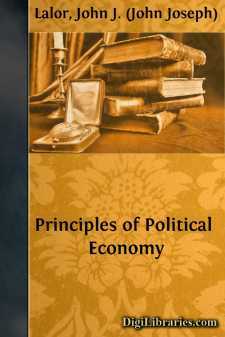 It is no foolish desire to make a vain display of citations, that induces us, at the beginning of this essay, intended to point out the results of the application of a new method to the study of Political Economy, to invoke the authority of a poet and moralist, of a jurisconsult and of a philosopher. The writer finds in the words just quoted the loftiest expression of the thought which dictates these lines, viz. : that the impartial researches of history, a profound feeling of man’s moral and material wants, and the light of philosophy, should govern in the teaching of a science, the object of which is to show us how those things which are intended to satisfy our wants are produced and distributed among the several classes or individuals of a nation; how they are exchanged one against another, and how they are consumed.